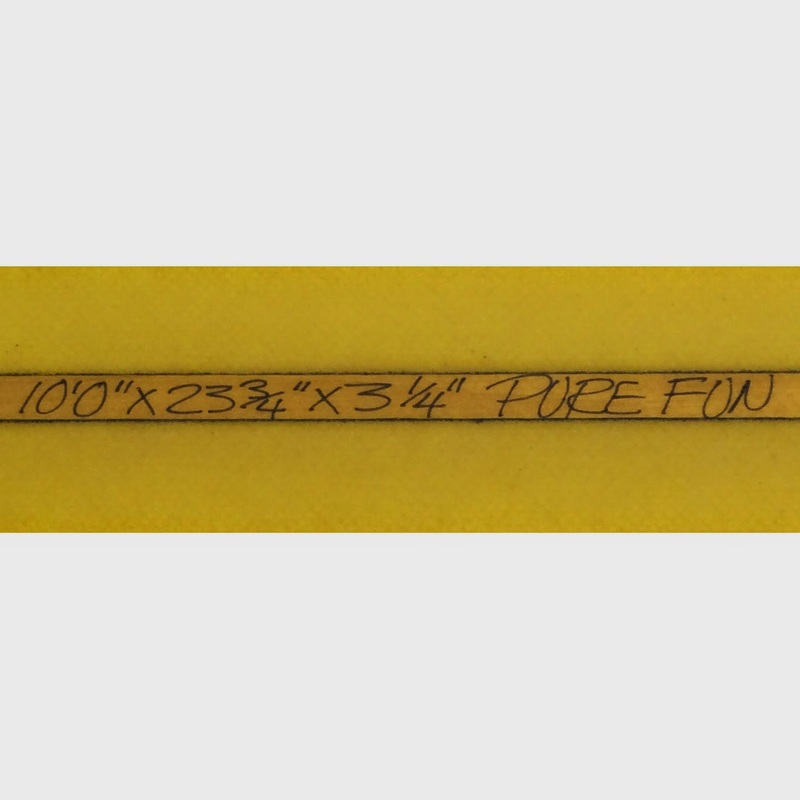 You don’t see 10′ noseriders that often, and when you do, they are often overly chunky, bulky and unwieldy. This one shaped by Hank Byzak feels like it has that nice combination of nimble and glide for it’s genre. 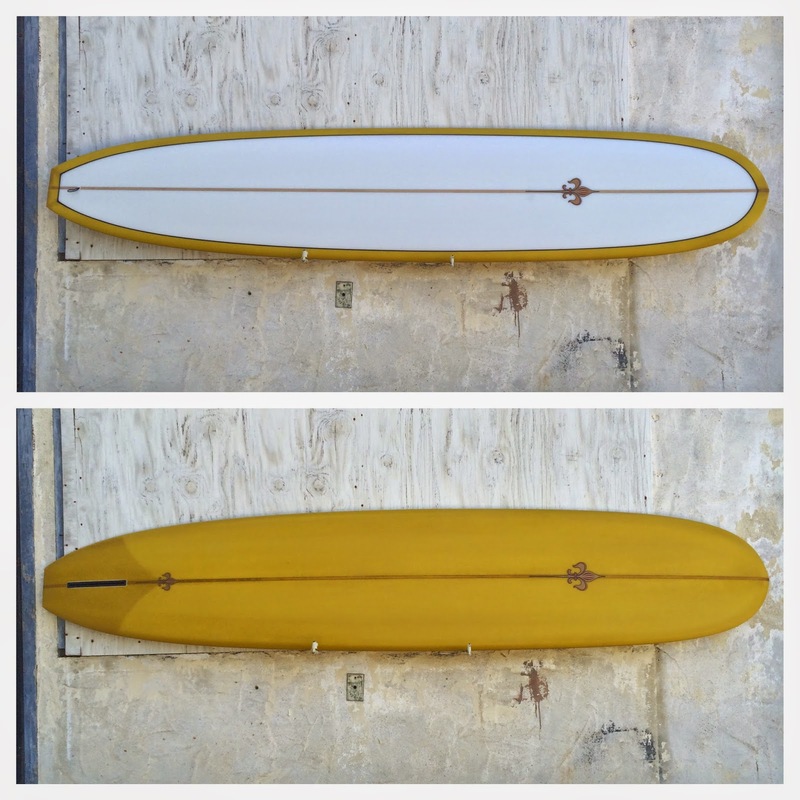 And the golden resin tint bottom is appealing too. It has a leash loop, but you won’t wear a leash on this one, you will never fall and lose it. 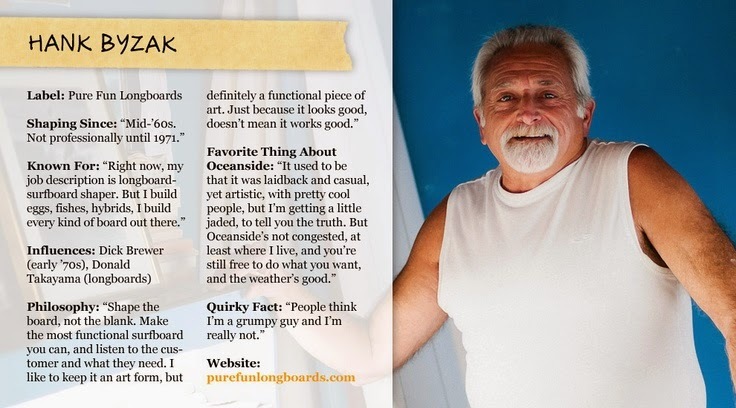 This is not Hank Byzak. This is Andrew. 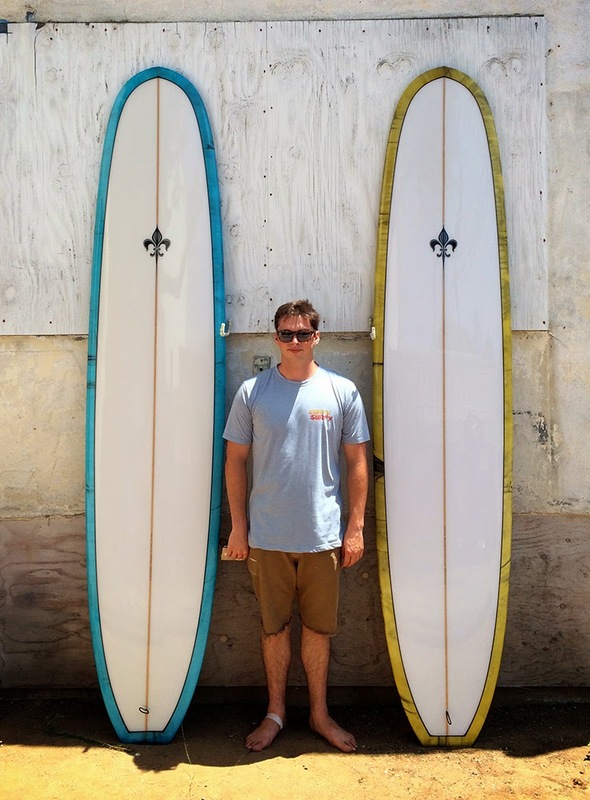 Classic old school surfboard shaper Hank Byzak has been dropping off longboards for us to stock. Hank has been around for a long time and his shapes are clean. Hank has a reputation for being grumpy, but we’ve always found him to be laid back and cool. 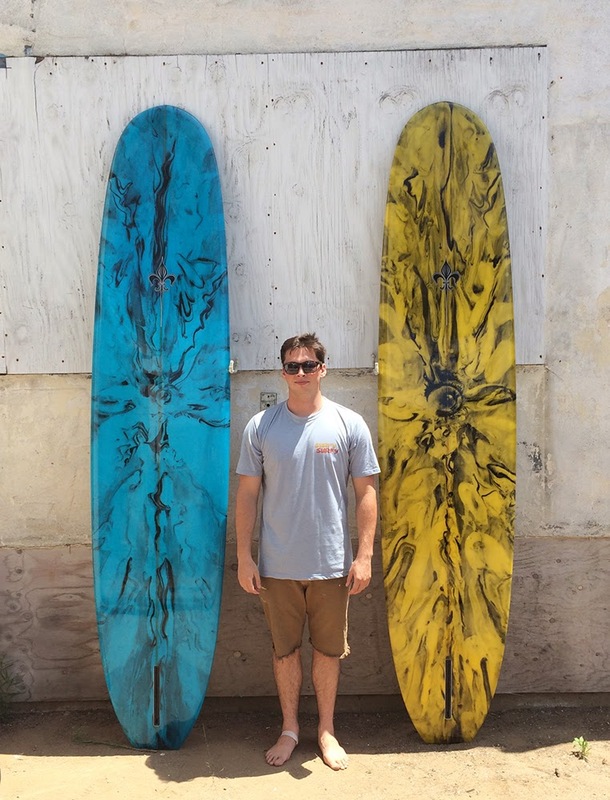 Shop Grom Andrew likes this pair of 9’3″ logs with acid swirl resin tints. 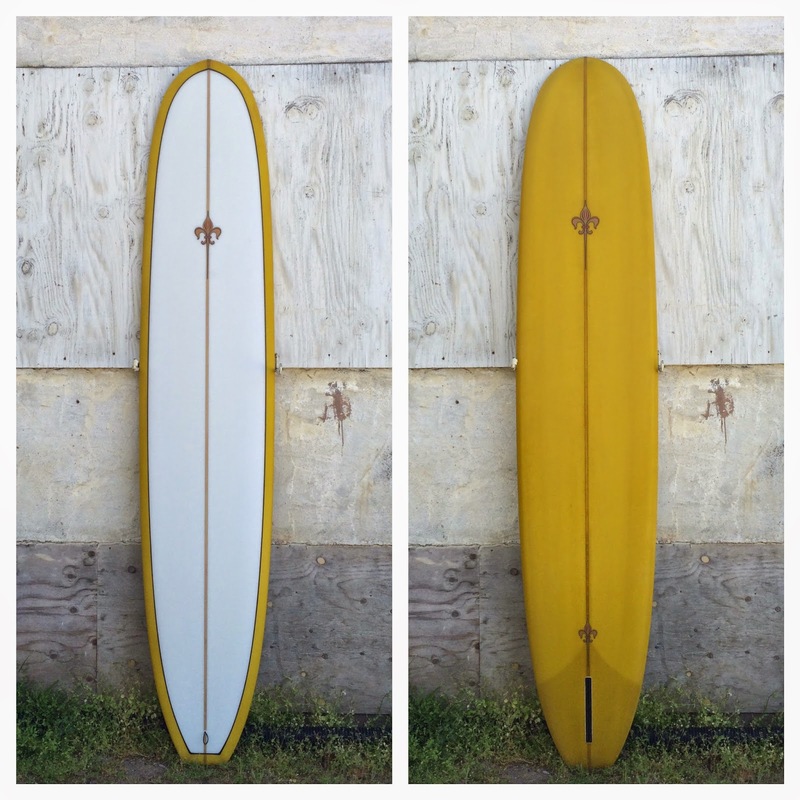 Come check out what we got at Surfy Surfy Surf Shop in Leucadia, California.